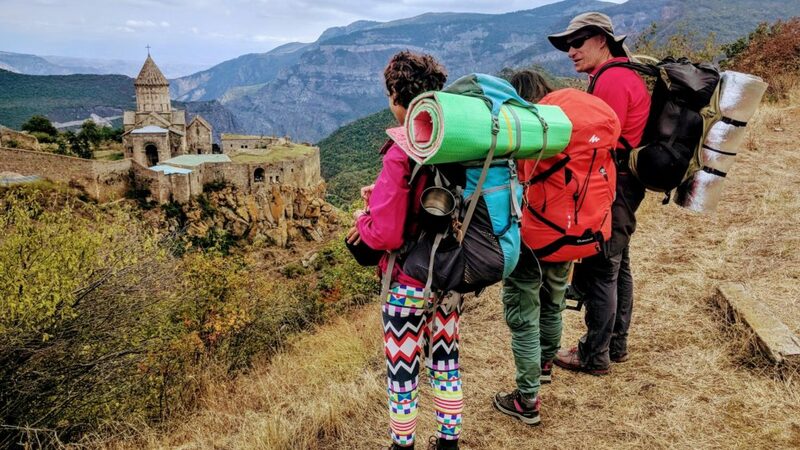 A very quick heads-up that places on the Transcaucasian Trail group fundraising hikes in 2019 are now available. Click here for the dates and details and, if the fancy takes you, to register your participation. I’ve been helping design and promote these treks for the last couple of years, and they’ve proved to be a fantastic way of raising flexible funding for the local teams who are designing and building the trail here in the Caucasus (as well as the ongoing scouting and mapping work on which I still seem to spend most of my spare time). The actual trail building and maintenance work is done by volunteers, and it’s usually possible to find grant funding for individual projects, but there are still ongoing overheads for even a very lightweight operation to coordinate such efforts, such as travel expenses, accounting & legal fees, software subscriptions and the like. To cover these costs requires ongoing funding, and these group hikes have proved by far the most effective means of raising those funds so far. The reason they work so well, I think, is that they give the participants themselves a very unique experience – both of contributing in a really effective way to the big Transcaucasian Trail mission and getting to be the first to try out the new routes as they open up. In other words, they’re considerably more than just adventure holidays (though they can serve that purpose too!). Anyway – if you’re up for a trip to Georgia and/or Armenia next summer and being part of the TCT effort next year, sign up now while there are still places left – and know that you’ll be helping a small handful of idealists crack a particularly big nut by doing so! How on Earth do you create a brand new long distance hiking trail?